NOTICE IS HEREBY GIVEN THAT A MANDATORY PRE-BID CONFERENCE will be held on Wednesday, November 7, 2018, at 10:00 a.m. at the Administration Building Conference Room of the Port of Port Arthur Navigation District of Jefferson County, Texas (“Port of Port Arthur”) located at 221 Houston Avenue, Port Arthur, Texas,to discuss the plans and specifications and provide other information regarding the Port of Port Arthur Improvements for Lakeshore Drive Widening (the “Project”). Thereafter, sealed bids addressed to the Port of Port Arthur for the Project will be received at the Port of Port Arthur, Attention: Port Director, Larry Kelley, until 9:00 a.m. local time on November 14, 2018. All bids received will immediately thereafter be opened and read. Any bid received after the 9:00 a.m. deadline will be returned unopened. Bids shall be on a unit pricing basis. A performance bond and payment bond, each in the amount of one hundred percent (100%) of the contract price, will be required in accordance with State Law for any contract in excess of Twenty-Five Thousand ($25,000) Dollars. A Bid Bond in the amount of 5% of the total bid must also be submitted with the Bid documents. Each bidder will be required to have insurance naming the Port of Port Arthur as an additional insured and certificate holder under the policy(ies), with minimum coverages as set forth in the Insurance Requirements section of the Port of Port Arthur as detailed at its website, www.portpa.com. Plans, specifications and/or drawings for the Project may also be found on the Port of Port Arthur’s website. 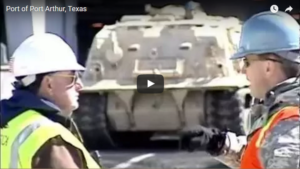 Attention is called to the fact that this is a Project for construction of public works and that there must be paid on same not less than the prevailing wage rates as set forth in the TexasGovernment Code. The contractor shall forfeit as a penalty to the Port of Port Arthur Ten ($10.00) Dollars for each laborer, workman or mechanic employed, for each calendar day, or portion thereof, if such laborer, workman or mechanic is paid less than the prevailing wage rates for any work done on the Project, by him, or by any subcontractor under him. Equal Employment Opportunity requirements must also be met. 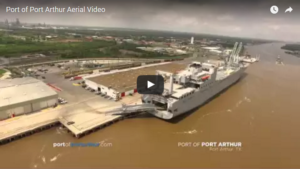 The Port of Port Arthur is an organization which qualifies for exemptions pursuant to the Texas Tax Code, Chapter 151, Limited Sales, Excise and Use Tax Act. No Texas sales tax shall be included on the prices bid for tangible personal property which is to be incorporated into and/or consumed in the performance of this Project. The contractor performing this Project may purchase materials, supplies, and/or equipment incorporated into and/ or consumed in the performance of this Project by providing to its suppliers an exemption certificate issued in accordance with Texas law. For inspection of the existing facilities or technical information, contact Ed Long, PE, Director of Engineering at: (409) 983-2011. The Port of Port Arthur reserves the right to reject any and all bids and waive any formalities.